Today here I'm again to post you a new fashion DIY, have you missed them? The one of today is a DIY bracelet inspired by Michael Kors, I liked it a lot and so after finding any PVC fabric I decided to get it. ESSENTIAL: PVC fabric, padlock, silver spray, tubepack of chpis, cutter, scissors, ring, rock drill, closure, hot glue. TUTORIAL: I first cut the PVC to length, then I cut the bottom of the tubepack of chips and I got a rectangle. Then I holed it with a hole puncher, I applied a hook to it, and I applied the lock previously colored with the spray. A big kiss and see ya next post! Oggi torno a postarvi un mio DIY, vi sono mancati? Quello di oggi è un bracciale DIY ispirato a Michael Kors, mi piaceva tantissimo e così dopo aver trovato del tessuto in PVC ho deciso di riprodurlo. NECESSARIO: tessuto in PVC, lucchetto, spray argento, imballo patatine in tubo, taglierino, forbici, anello, perforatrice, chiusura, colla a caldo. TUTORIAL: Ho prima tagliato il PVC a misura, dopo ho tagliato il fondo del pacco di patatine ed ho ottenuto un rettangolo. Ho bucato questo con una perforatrice, vi ho applicato un gancio ed ad esso ho applicato il lucchetto precedentemente colorato con lo spray. Un bacione grande ed al prossimo post! 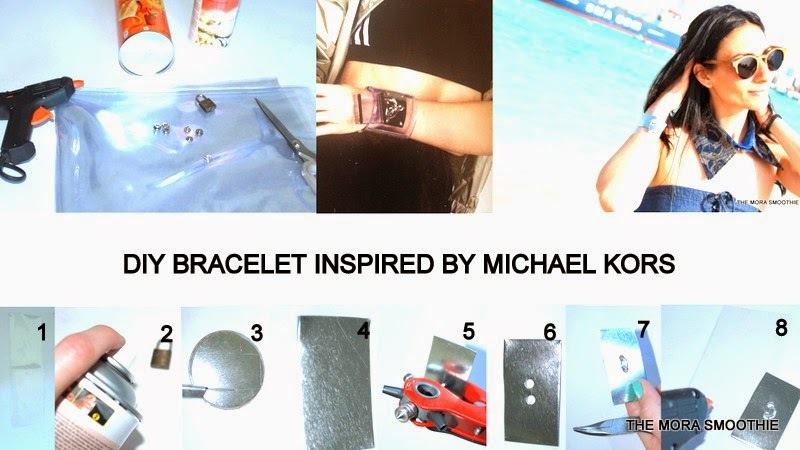 Etichette: DIY, diy blogger, diy bracelet, diy fashion, DIY Michael Kors, fashion, fashionblog, fashionblogger, MIchael Kors, recycling, themorasmoothie. Obtaining more than one pearltrees.com can would certainly be an affordable litterboxhub.com choice but you have to make certain that Best Litter Box for Multiple Cats the dimension is adequate to serve the needs of Litter Box all your cat residents Other than that, Best litter boxes you must additionally consider.